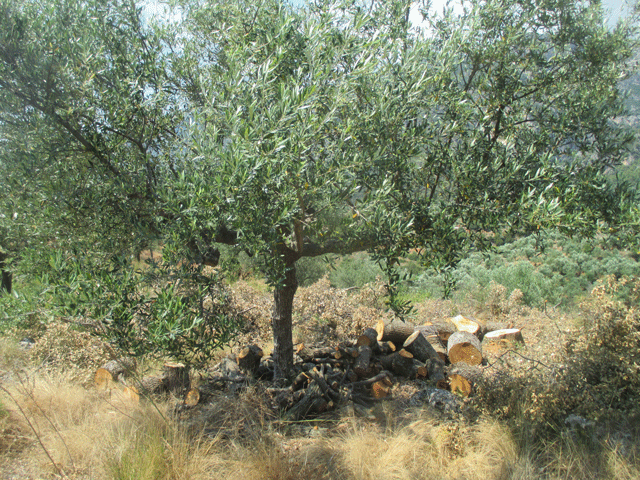 Photo article: Two new olive trees emerge and the Greek Hovel as have my babies! 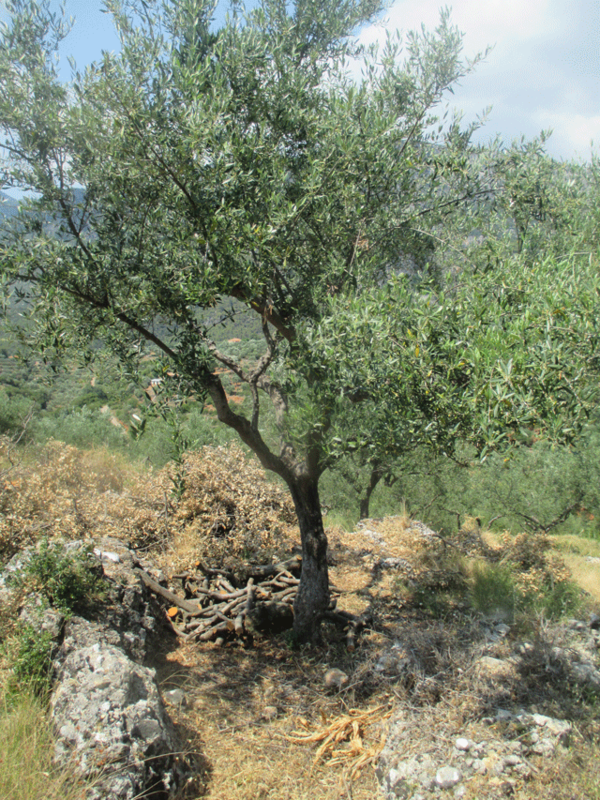 What a delight it was to be among the olive trees yesterday. the first treat was to go an investigate two new trees that no-one has seen for years. 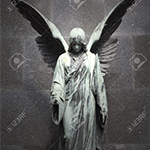 They were enclosed in a patch of dense frigana bushes with some large frigana trees there for good measure. Previous owner vile Athena had chucked a stack of wire into this mess meaning that I have never been able to tackle it with my strimmer. It was too dense to poison and anyhow I was convinced it was home to numerous snakes so I gave it a wide berth. But my brave Albanian Greek workforce led by Gregori who kills snakes with his bare hands waded in and the frigana has gone. Instead we have two trees surrounded by logs as you can see below. I was a bit nervous of treading over the logs but ventured in anyway and gave both trees their first prune in years. What a treat for them and for me. The other big news is that my babies, the olives themselves are emerging. as you can see they are tiny right now, about the size of a very small ball-bearing but they are there. 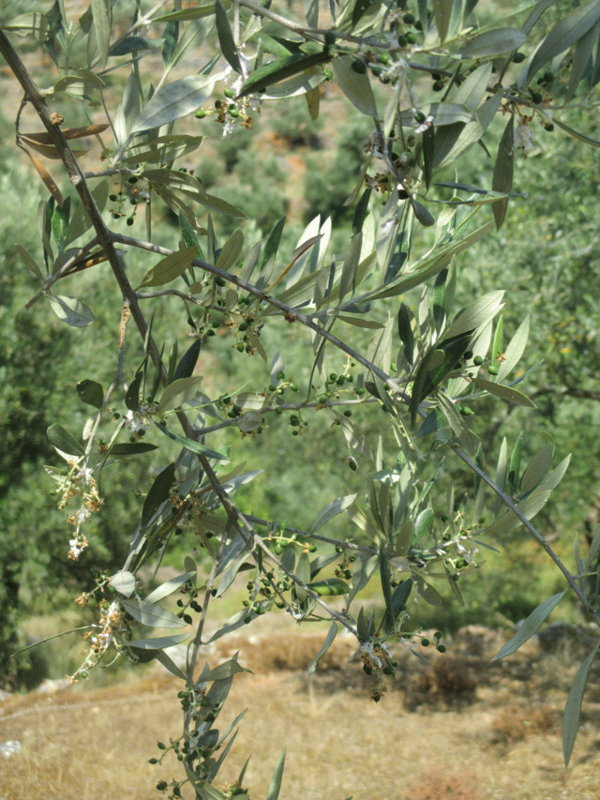 I fear that it will not be a great crop but the annual delight of seeing your first olives is a delight none the less. that is it for me for today, it is off to the hovel for more pruning.